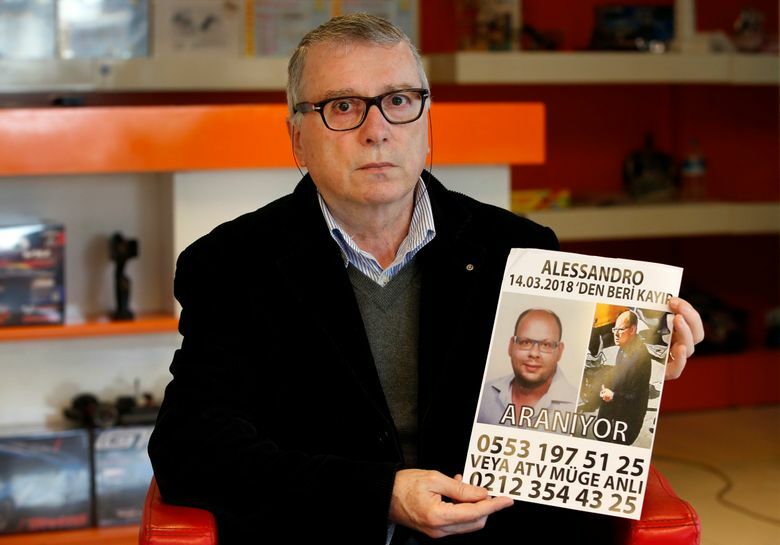 ISTANBUL (AP) — A Turkish newspaper says an Italian man reported missing in Istanbul has been found dead. Haberturk said Thursday that the body of 33-year-old Alessandro Fiori was found washed ashore in Istanbul’s Sarayburnu district, two weeks after he went missing. According to the paper, the marketing manager from Milan was identified by his father, Eligio Fiori, but DNA testing was underway to confirm his ID. Haberturk said it appeared Fiori had received a blow to the head but that it was not clear if he had been struck or had suffered a fall. Police could not immediately confirm the report. Fiori had flown to Istanbul on March 12 and was last spotted on a CCTV camera March 14. His phone, wallet and other belongings were found in a hotel trash bin.